AcroYoga is a community based practice that encourages personal transformation. AcroYoga invites you to experience the full spectrum of your being through opportunities to: give and receive; support and be supported; experience strength and sensitivity. It is a systematic approach to health and healing designed to be accessible for every practitioner. The best part is that it’s fun to do and fun to watch. It brings people together the old fashioned way, through human connection, touch and play. The solar asana sequence teaches the alphabet of acrobatics, and the names and shapes needed for students to communicate as they do acrobatics together. The sequence also strings together strength and flexibility building exercises in a progressive way to warm and open the body. Acrobats build strength by using their bodyweight and their partner’s bodyweight. Push-ups, down dog push-ups, abdominal exercises and partner conditioning drills are some of the building blocks that bring the mind and body into powerful harmony. The inversions and spotting build confidence, communication and support for students to move through fears. Step by step we build acrobatic techniques for headstands, handstands and beyond. The most dynamic expression of the practice is partner acrobatics. 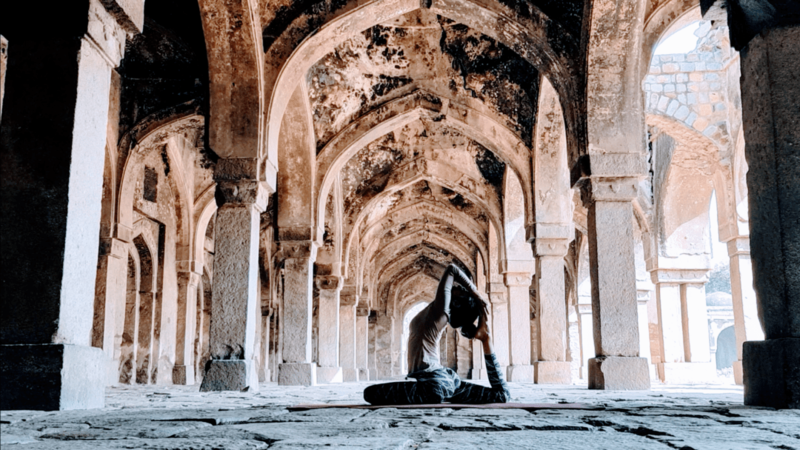 Kanika has received her teacher’s training from two prestigious schools (traditions) of yoga: Sivananda Yoga Vedanta Ashram (Kerala) and later on extended advanced studies with Krishnamacharya Yoga Mandiram (Chennai) following the lineage of Sri T Krishnamacharya and Sri TKV Desikachar. Her interest in health and fitness led her to complete her advanced studies as a Health and Behaviour Modification Psychologist and has completed fitness courses from ACE, Pilates and Reebok. She is also conversant with alternative healings like Reiki, EFT and Theta and actively combines them in her therapy sessions. Please bring your own yoga mat, a water bottle and a small towel. We will be meeting at Lodi Gardens! Please register at the link below, and we will email you the precise location and directions.